The Japanese tea-ceremony, or Way of Tea, is one of the most profound manifestations of mindfulness. The ceremony, with its roots in Zen Buddhism, dates as far back as the 15th century and takes place within a traditional tea-ceremony room. Here, in a fully updated edition of New Zen, are 40 outstanding examples of contemporary Japanese tea rooms, many located within private homes. The book highlights all aspects of the subject – the design, architecture, garden design and the ceremony itself. And with many different materials featured – paper, wood, plastic, stone, aluminium, glass and concrete – it is itself an inspirational sourcebook for modern homes. Every tea-ceremony room included is by a well-known artist, designer or architect making this a unique compendium of the best modern interior design in Japan – designs by Kengo Kuma, Kisho Kurokawa, Terunobu Fujimori, Takashi Sugimoto and Shigeru Uchida. 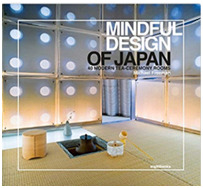 In these pages you can glimpse the rare world of Japanese mindful design, modern interpretations of the fascinating tea room – an empty space designed for meditation, contemplation and the appreciation of the art of tea drinking. Michael Freeman, professional photographer and author, with 147 book titles to his credit, was born in England in 1945, took a Masters in Geography at Brasenose College, Oxford University, and then worked in advertising in London for six years. He made the break from there in 1971 to travel up the Amazon with two secondhand cameras, and when Time-Life used many of the pictures extensively in the Amazon volume of their World's Wild Places series, including the cover, they encouraged him to begin a full-time photographic career. Freeman's books on photography have been translated into 27 languages, and are available on all other Amazon international sites.